Anchor body is resistant to corrosion from moisture. The Kubota 250pc Anchor & Screw Set is ideal for the jobsite or DIYer. 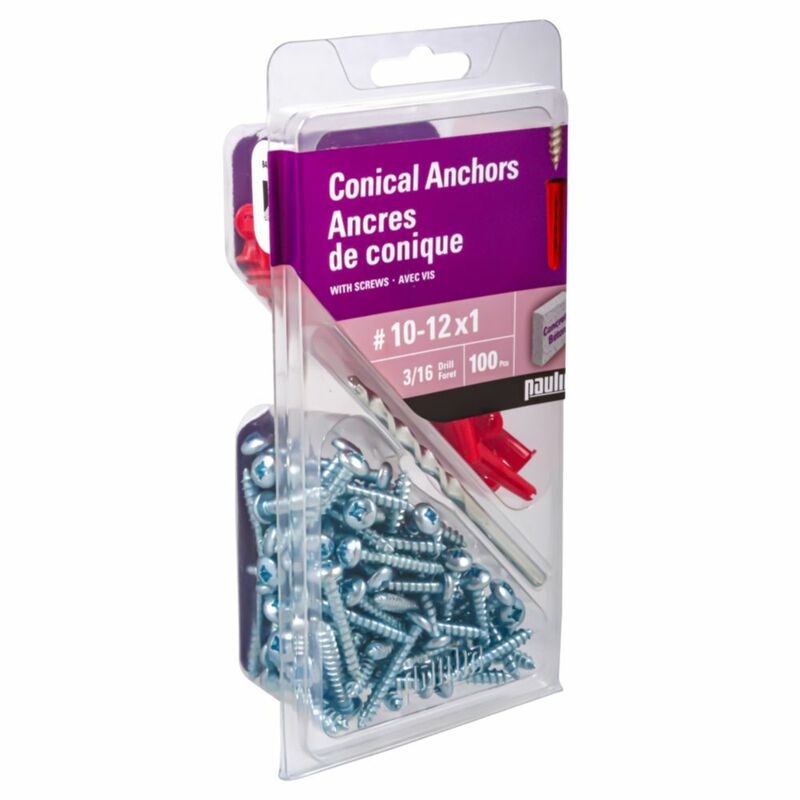 Offers a full assortment of the most essential anchors and screws. Includes a durable plastic, see through organizer and lid. A must-have for your shop or home. TOGGLER<sup></sup> plastic toggle wall anchor provides secure holding power for light and medium loads in all walls. No.10-12 X 1 Inch. Plastic Anchors Assorted Plastic anchors are used to support light loads on drywall without fastening to a wall stud, or into masonry.